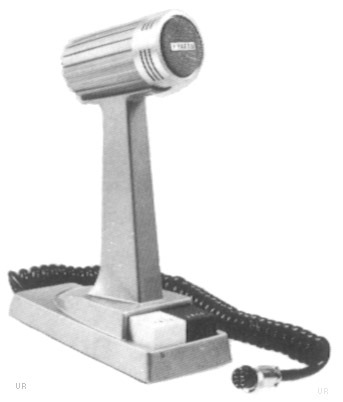 The Yaesu YD-844 is a unidirectional, dynamic desk mic. It features a PTT and lock function. Impedance is 50k ohms. The response is 50-10000 Hz. There is also a contact switch on the base which will activate the PTT function when the desk mic is lifted. It features a 4 pin mic plug. Made in Japan. This mic works well with the FT-101 transceiver.